Gusman Hall has seen countless Frost School of Music concerts and performances, but Frost Symphonic Winds’ “Inspirations” was perhaps the most distinct. Frost Symphonic Winds performs at Gusman Hall. Transcending time and space, “Inspirations” aimed to create an unconventional sensory experience for the audience and musicians alike – incorporating lines and melodies across thousands of years and filtering it through the current outlook on classics. 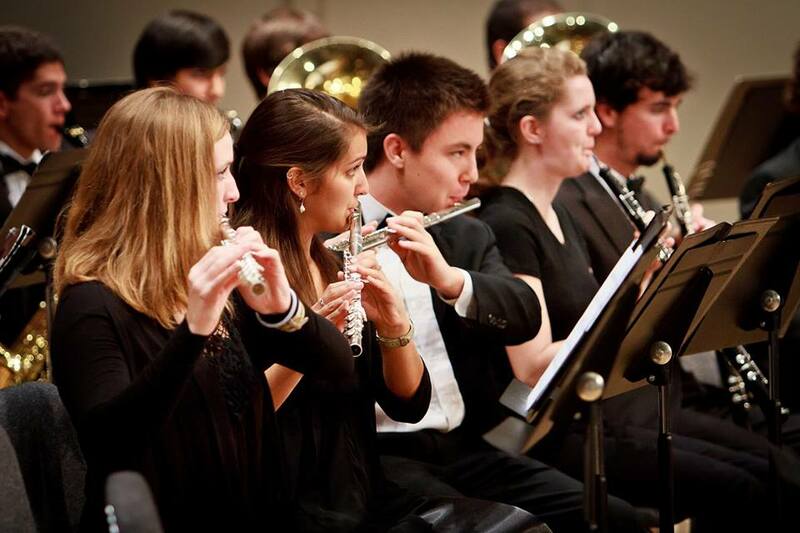 Frost Symphonic Winds is comprised of students in the Frost school and offers a wide range of musical styles. This concert was their first of the season and the first of the “Inspirations” series, showcasing talented Frost student musicians, music majors and non-music majors alike. “‘Inspirations’ was in essence a representation of what the UM community stands for: engaging in activities that transform our lives,” Moore said. In between bouts of big, bold statements and familiar, inspired melodies, one oboe soloist stood out. Ariana Varvaro, a freshman majoring in music instrumental performance, created chillingly clear renditions of Holst’s and Chance’s oboe solos. Varvaro’s challenging solos resonated with many, as she had hoped they would. Audience member Shari Drumond, who participated in the Winds’ standing ovation, commended the program for its variety. Both Bryant and Hearshen sought to remix timeless wind band classics while paying homage to the original works of Holst and Sousa. “Medieval Suite,” which drew from composers from the Middle Ages and Perotin’s dissonant and fanfare-like style, proved to be a refreshing addition to UM’s Frost School of Music repertoire. Chance’s motivation behind composing “Variations” can be traced back to his time serving in the U.S. Army in Korea – transformative event which he hallmarked with a composition. The Winds carried the sound with utmost respect and vibrancy, ending the night and their first concert exciting the audience for what is to come this semester. To learn more about the FSW, visit www.frost.miami.edu/about-us/ensembles/individual-ensembles/frost-symphonic-winds/index.html.